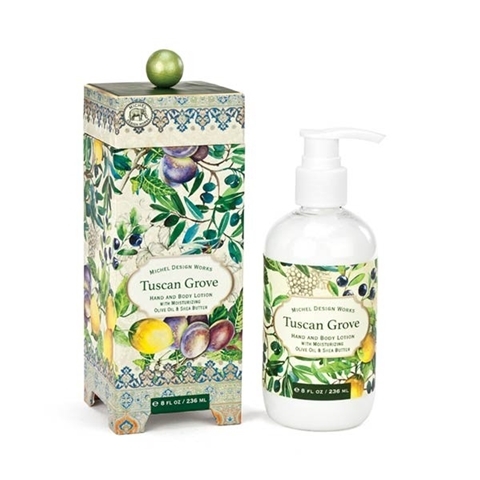 Michele Designs Hand and Body Lotion with Moisturizing Olive Oil & Shea Butter. 8 Fl. Oz. This lotion is an amazing blend of aloe, olive oil, shea butter, and other select herbs and botanicals that will moisturize and soften even the driest skin. Comes in a beautiful gift box.